As a company works on increasing customer satisfaction through feedback questionnaire, they also prioritize the wellness of their employees. The human resource department of a company is responsible for this aspect of the workplace. An HR has various responsibilities, from staffing and employee benefits to designing a quality work environment. To do so, they conduct activities to promote professional interaction and proper communication. One of which is through a survey questionnaire. 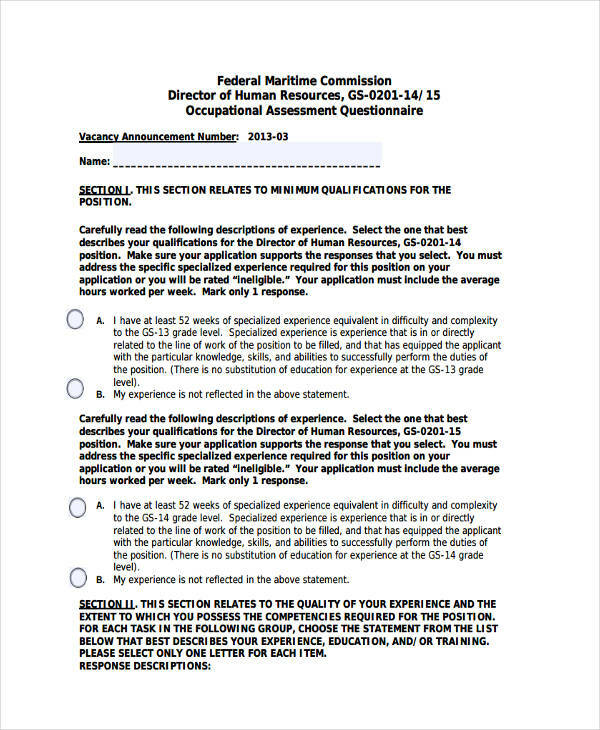 For employment, an HR questionnaire is typically designed to short-list potential candidates. It can also be used to asses employee satisfaction on job positions, compensations and benefits, and management. 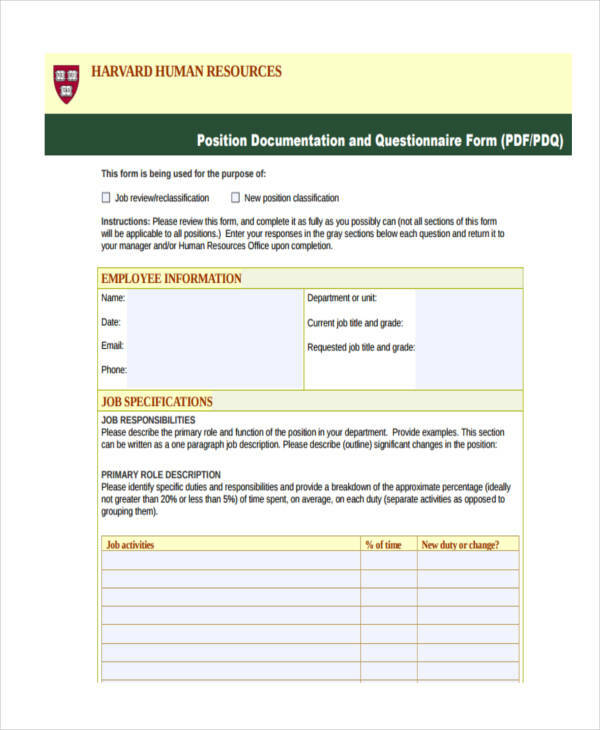 How to Prepare an HR Questionnaire? 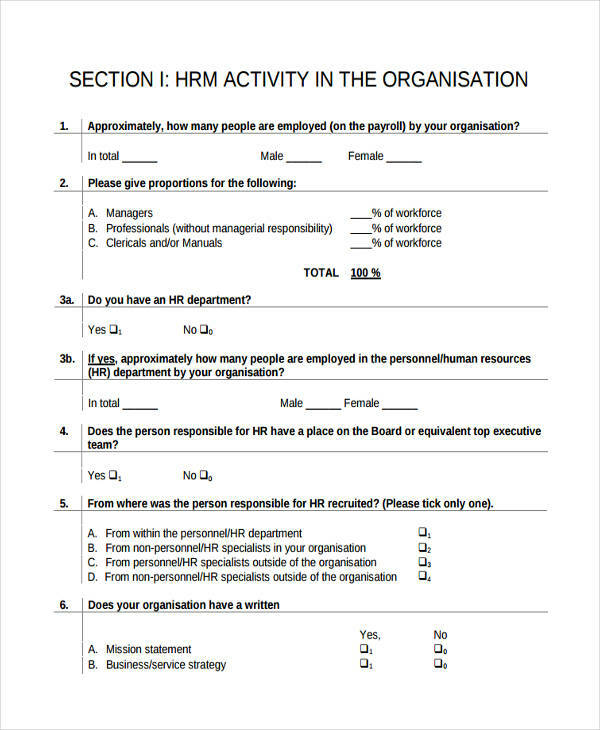 An HR questionnaire can help you further improve an employee’s performance by understanding the impact of various policies and events that occur in an individual’s personal and work environment. 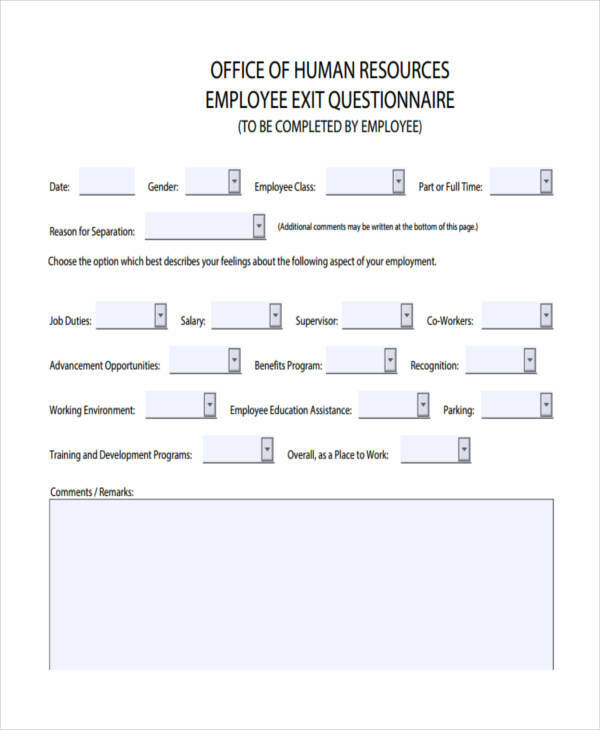 Various questionnaire examples in word format are available online for your HR needs. If you wish to create custom questionnaires, there are a few things that you need to keep in mind. HR questionnaires need to be made professionally. 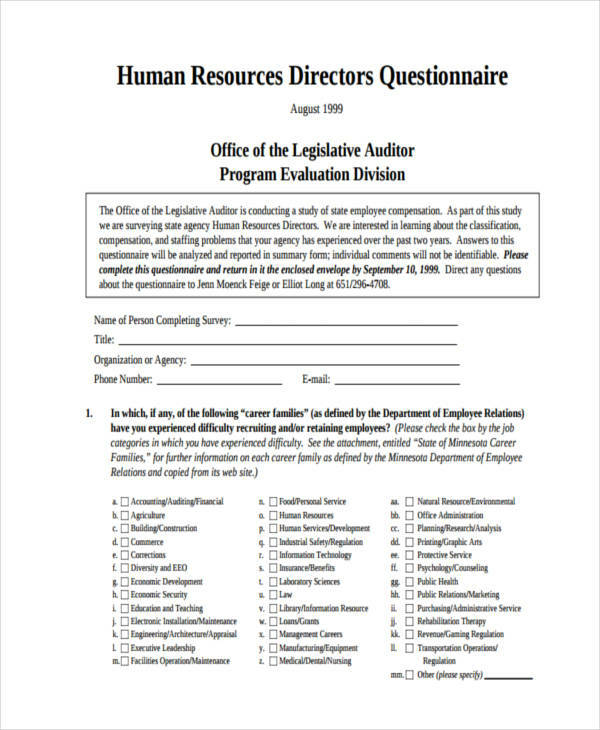 This is a type of business questionnaire that may cause an effect on the company’s overall performance as success or failure can greatly depend on its human resources. The best and only way to prepare an effective questionnaire is to have the respondents in mind. Ultimately, what’s best for them is what’s best for the company. Anything that could relate to an employee, whether it’s personal or work related. It’s also good to utilize different platforms for your questionnaires. Technology has allowed us to conduct surveys online, making it easier to analyze the data. Still, some people would prefer the old school method of pen and paper. Conducting constant surveys casually may also help you assess your employees at random circumstances. State a title or topic. This would give the respondent a clear idea of what the survey is about before getting the chance to read each question. It should have a specific purpose. A purpose should be defined in order to construct relevant questions. It may also be stated in the questionnaire. Give proper instructions. An employee questionnaire may vary in purpose and style. Make sure to state the instructions clearly to avoid any confusion. It must contain clear and unbiased questions. The questions should be easily understood. Complicated questions may garner conflicting answers. Provide possible answers. It would be more efficient for respondents to answer a questionnaire containing choices with answers similar to their own. This also makes it easier to assess later on. 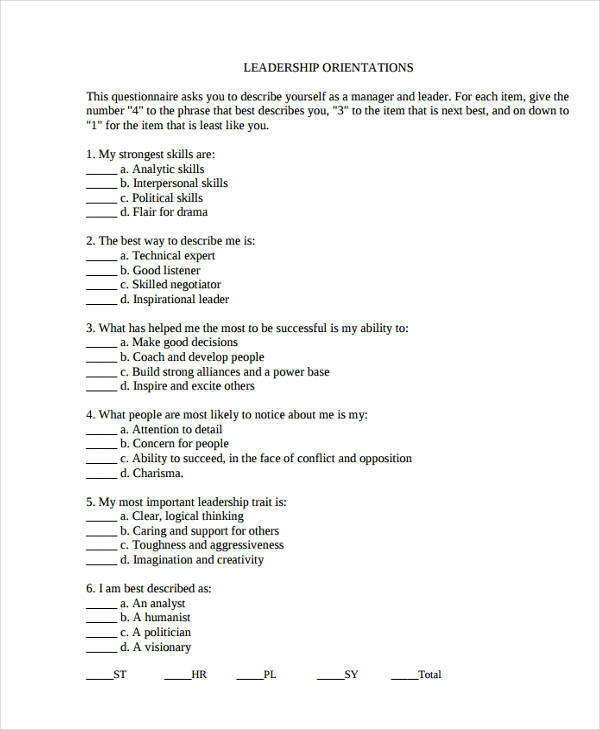 Make use of questionnaire templates. It’s not absolutely necessary but this would allow you to create professional surveys effortlessly.